Maddie on Sunday the 19th had 10 babies. 2 we lost the next day but Maddie has more than enough to look after with 8. 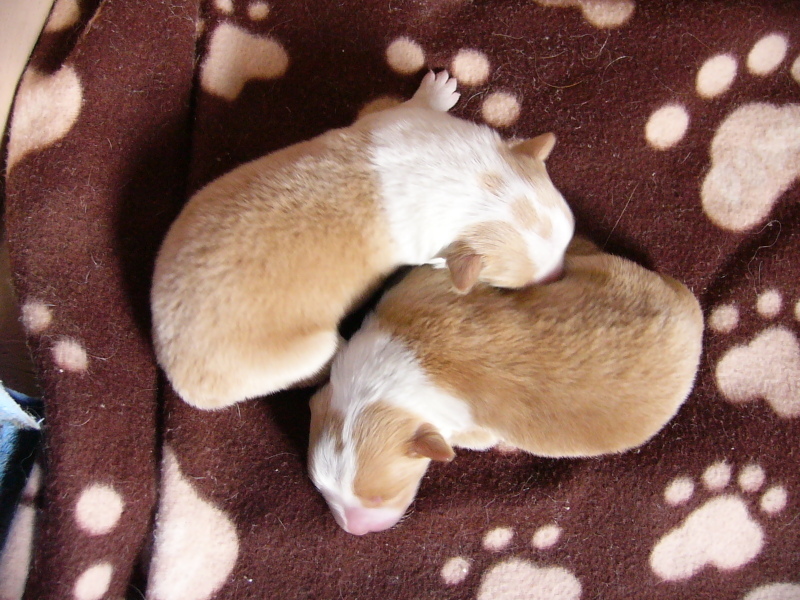 They will all be a dark red like Maddie & Riley..
Pups all doing really well as is Maddie. 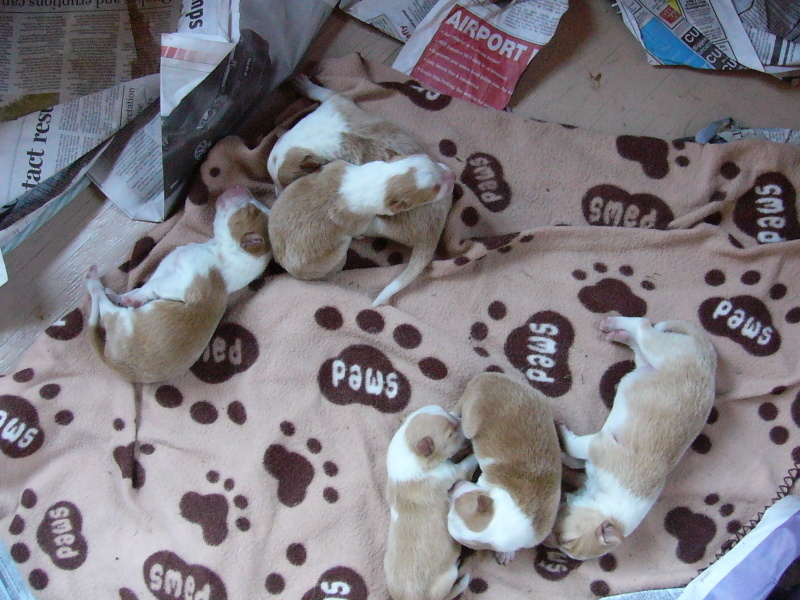 I had gone to sleep and hadn’t noticed the number 10 pup come out till we did a clean up & head count the next day but she popped them all out with no problems. 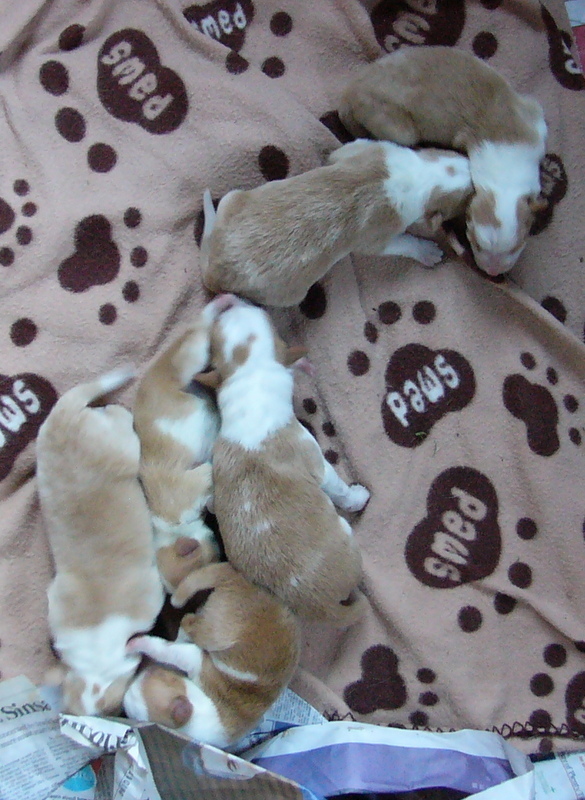 This will most definitely be Maddies last litter. What a big litter. 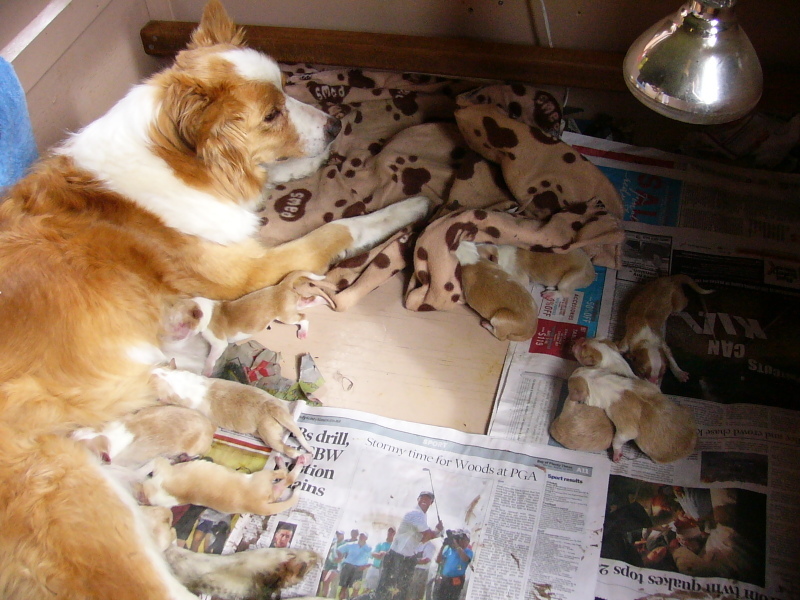 She is such a great mum but at 9 must be sick of having kids..They are lovely & will be a pretty colour & only 2 boys. Will be very popular & sell quickly I’d say. Riley can;t be called “gay” any more. Hes the man.